Walt Disney World® worked with the top vacation rental home companies in central Florida to design a program to give travelers a simple way to ensure their chosen company is safe, customer-focused and held to Disney’s high quality standards. The result of that collaboration was the Disney Vacation Rental Home Connection. VillaDirect was the first company to be recognized by Walt Disney World® under this program. Since 1998, total guest satisfaction has been the top goal for all staff across all departments. Because of this accreditation, you can always be sure that VillaDirect meets the rigid quality and cleanliness standards set by Walt Disney World® Resort. Disney randomly inspects each home that we offer to guests. Disney closely monitors and scores our cleaning and housekeeping procedures. VillaDirect is the only company to score a “perfect 10/10” for cleanliness of its vacation rentals. Disney randomly and regularly inspects our Welcome Center for the quality of our guest service to customers staying in our homes. We want you to have the very best vacation when you stay in our homes. 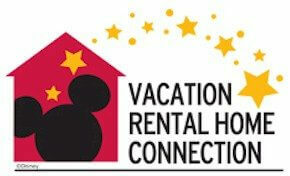 When you see the Disney Vacation Rental Home Connection logo, you can be sure that you’re staying with a trusted, reputable company.